We’ve been seeing a lot of shea butter as a common ingredient in commercial beauty care products. We see shea butter lotions and moisturizers or even hair conditioners and we use them, or maybe not, because we don’t really know much about the benefits of shea butter﻿ to our skin. One thing for sure, shea butter makes a great skin moisturizer, but there is actually more to it. We also have yet to find out the best shea butter in the market, what with the many shea butter products available on the shelves. Shea butter is a natural fat extract from the seed of the African shea tree that is slightly ivory or yellowish in color. In French, it is often regarded as karite tree, which means the tree of life. The tree derived its name because of its superb healing properties. Shea butter is naturally rich in Vitamins A, E and F. It protects the skin from UV rays with its SPF 6 content and stimulates collagen production for the skin with its essential fatty acids and nutrient content. Pure or raw unrefined shea butter is edible and has been used as cooking oil in Africa for so many centuries now. It also has uses in candle-making, in hairdressing, waterproofing wax, as topical application for sprains and arthritis and as moisturizer for dry skin. 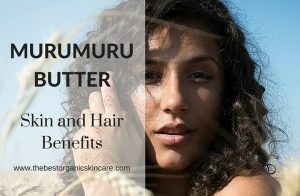 In its more practical use, she butter is known to be a powerful natural moisturizer that comes with healing properties for skin conditions. In fact, unrefined shea butter can already be directly applied to the skin without having to go through further filtering or processing. When mixed with other natural essential oils, it becomes even more useful for other applications whether as treatment or for beauty regimen. Moisturizing: The high natural vitamins and fatty acid content in shea butter makes it the reason for being a great skin moisturizer. It nourishes the skin by treating dry skin and keeping the skin’s natural oils. The moisturizing properties in shea butter are said to be the same moisturizers produced by the skin’s sebaceous glands. Skin Smoothing: As mentioned earlier, shea butter stimulates collagen production of the skin and contains natural fatty acids like palmitic, oleic, stearic, and linolenic acids that promote skin nourishment. 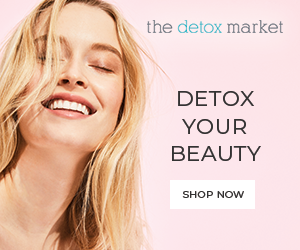 With consistent and regular use, noticeable changes are evident in terms of skin glow, skin softening and reduction of wrinkles. Anti-Inflammatory: Cinnamic acid content along with other natural properties in shea butter are anti-inflammatory, thus making it useful in treating skin conditions. Lupeol cinnamate, one acidic component of shea butter, is known to minimize skin inflammation and also prevents skin mutation. Moreover, Vitamin A in shea butter plays a vital role in treating various skin conditions. 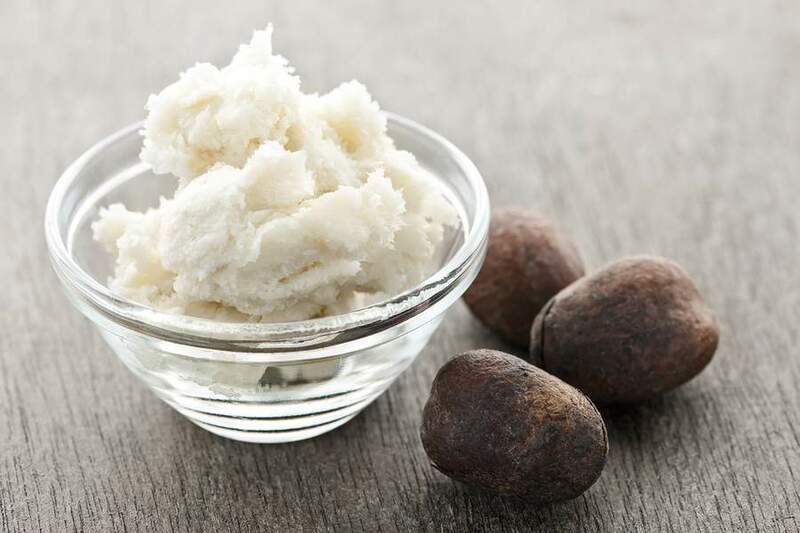 Other uses of shea butter include soothing tired muscles from fatigue, aches and tension, before and after a rigorous exercise, and protection from frost bites and effects of cold weather on the skin. Shea butter for do-it-yourself recipes needs to be high quality and free from impurities. These are the two best raw, unrefined shea butters on the market. I have included a product choice for both the USA and Canada. A highly recommended shea butter product, this is best for skin and hair moisturizing and revitalizing. It has UV protection and rich in essential fatty acids and natural vitamins. You are guaranteed pure, raw and unrefined shea butter with full-packed nutrients. 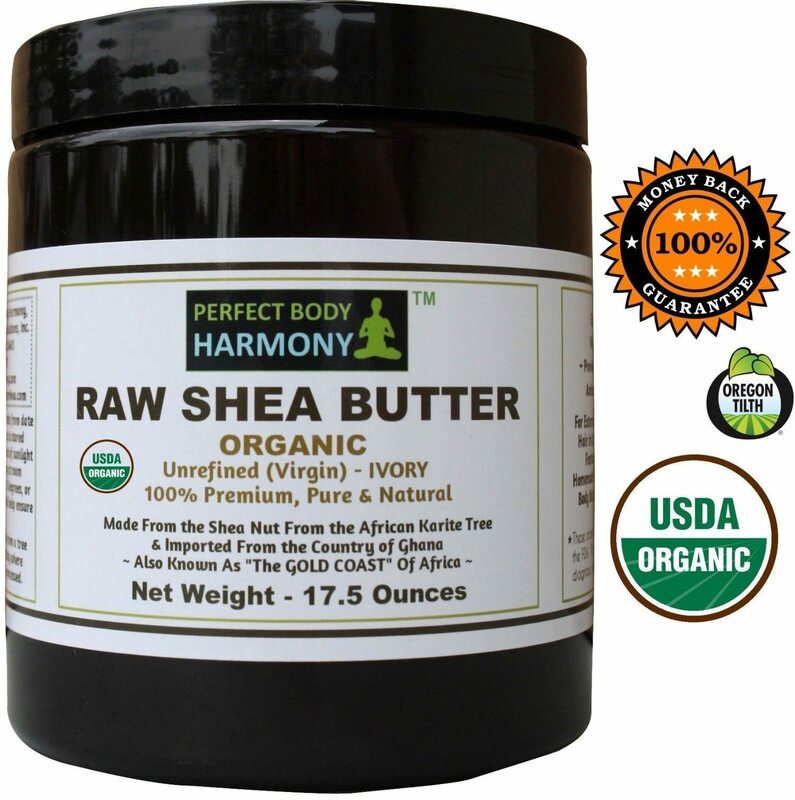 Perfect Harmony Raw Shea Butter is imported from the country of Ghana in West Africa. 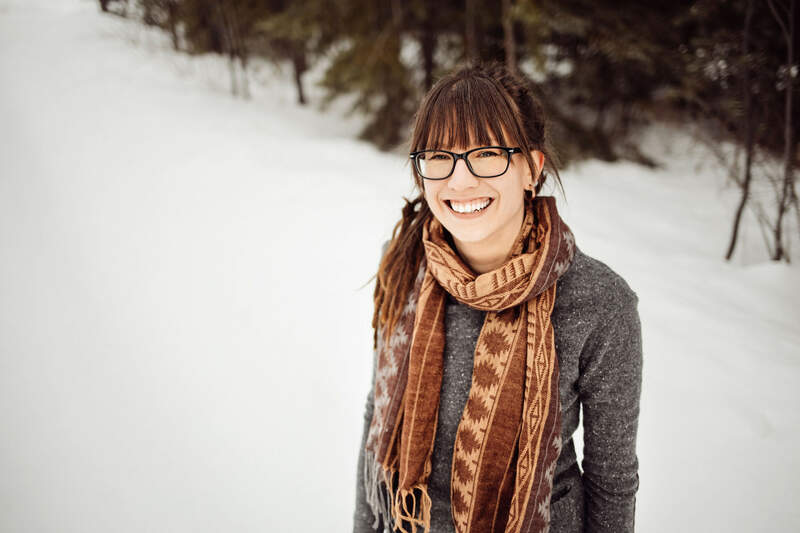 A top seller on Canadian Amazon, Amson Naturals makes a pure, unrefined, raw shea butter rich in vitamins A, E, F and K . It is packed in UV protective, resealable packaging for safe storage. Great for hair, skin and body. This shea butter is cut, not melted and poured to preserve the efficacy. 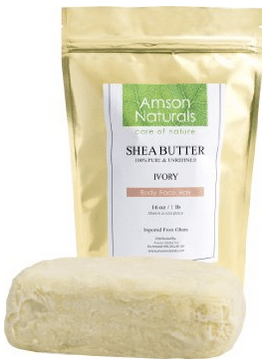 You can purchase Amson Naturals shea butter on Amazon.ca. A pre-whipped shea butter is a lot easier to use straight out of the jar. Instead of having to deal with a hard block or chunks, you can scoop whipped shea butter into you hands and use it like any other moisturizer. 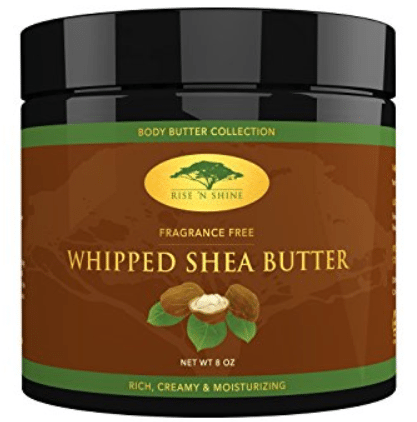 Amazons choice for whipped shea butter. Rise & Shine's pure whipped shea butter is ready to use right out of the jar. There is nothing in this product except for shea butter and water. Rise & Shine offers a 30 day money back guarantee and a bonus ebook with every purchase. 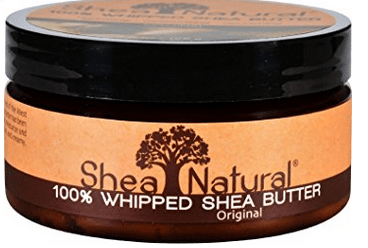 Canadians don't have much selection for whipped shea butters on Amazon, but I did find one that is pure and unrefined as well as fragrance free. Highly moisturizing and easy to use. One good thing about using shea butter is that it can be applied to everyone and on just about anyone, even to babies. No wonder the tree where it came from was originally termed as the tree of life. If you have not tried using a shea butter product, grab one from the shelf now but choose only one from the best shea butter products recommended above for guaranteed skin results. 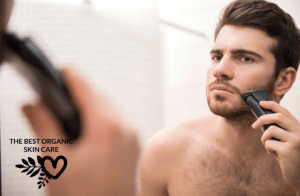 For a more effective result, it is best to use a shea butter product that is raw and unrefined because its original and natural essential fatty acids and natural vitamin contents are still intact. You will definitely appreciate shea butter once you have seen the positive change on your skin. How do you like to use shea butter? 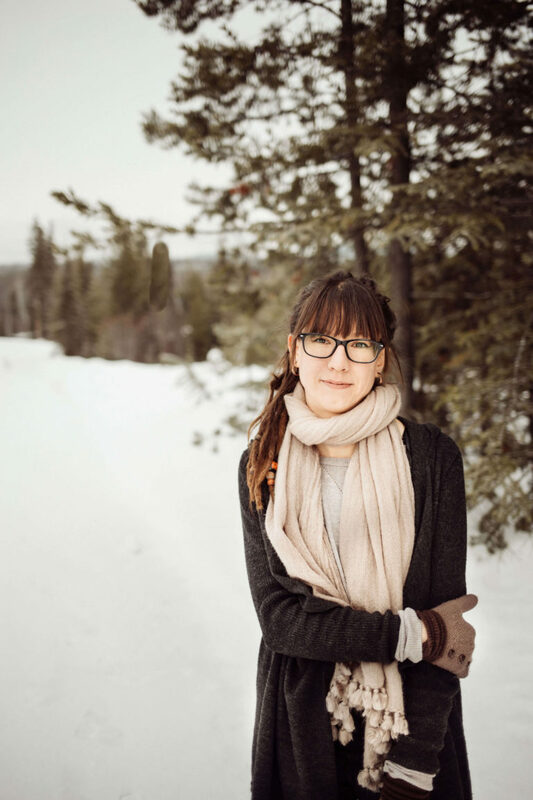 Leave your comments and questions below and remember to share this article with your friends! Your site is dynamite! It really looks good and I enjoyed that read. I have of course seen Shea Butter everywhere in the beauty industry even with us guys. It just sounds nice. And it smells good. But I never knew how good it was for your skin. Thanks 🙂 Yes shea butter has been around for quite a few years and it is popular for a reason – because it really works! Thank you for the informative article, and I appreciate that it supports why I use shea butter. You see, I had always used Papaya cream as a part of my nightly skin routine. Then I was diagnosed with stage 1 melanoma, and after this diagnose I investigated all my skin products, and I found that the papaya cream was made from petroleum jelly which is cariogenic. So I stopped using it and changed to Perfect Body Harmony Shea butter, and I’ve never looked back!